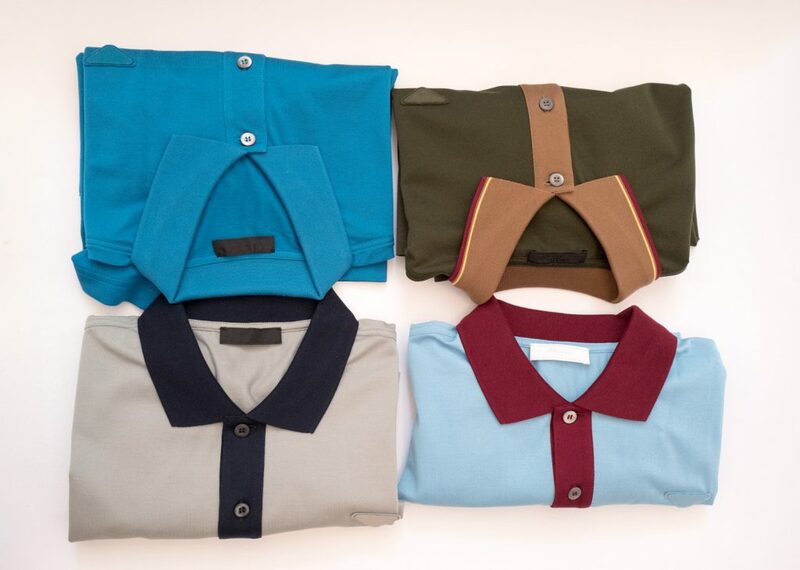 To start we have four Prada polo shirts each one has the classic Prada triangle logo on the front chest, and three of them have contrasting colour collars. 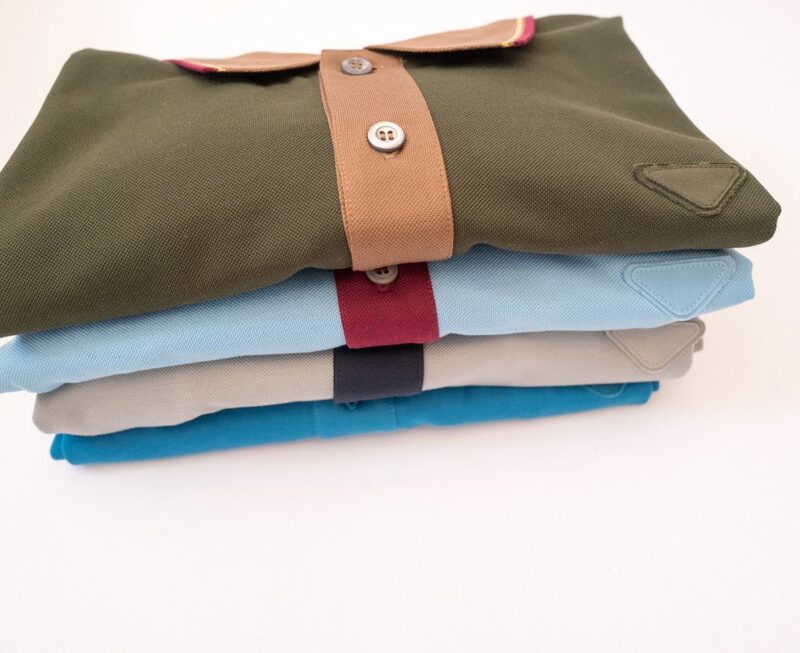 These polo shirts are of great quality, they have a slim fit to them but look great in both casual and smart casual outfits. The contrasting collar and chest buttons really help the design, I have 10 of these now and they are great for smart casual drinks and dinner. 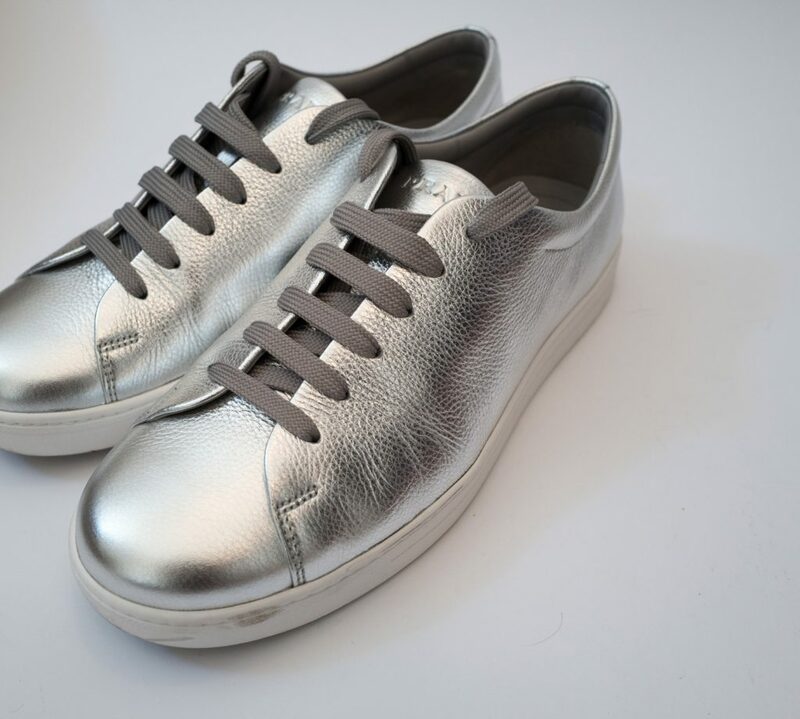 To follow we have these leather silver trainers, they are made of soft leather with a white sole, you can also purchase them in bronze but I opted for silver as they are easier to wear with most colours. 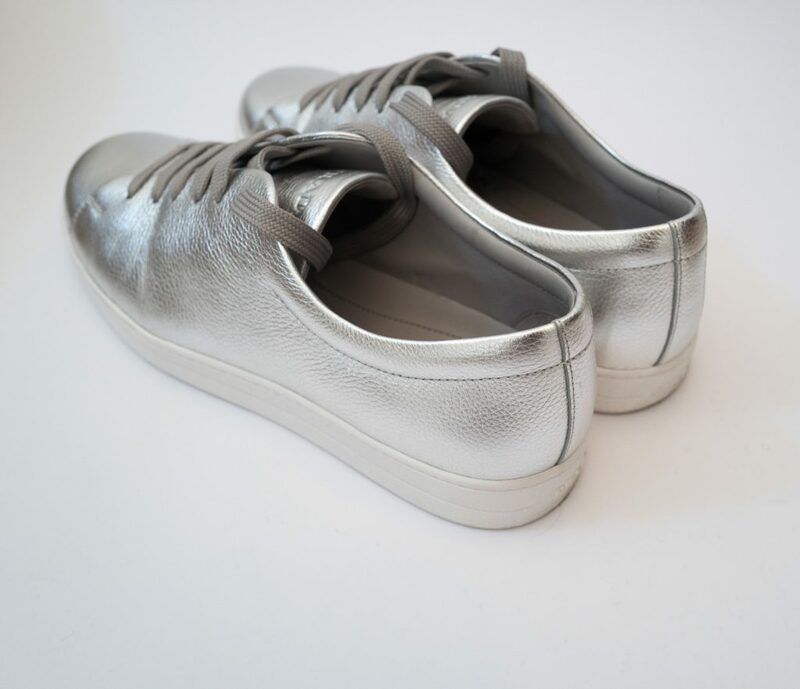 The design is simple but they look great with jeans or even a suit if you think you can pull it off. 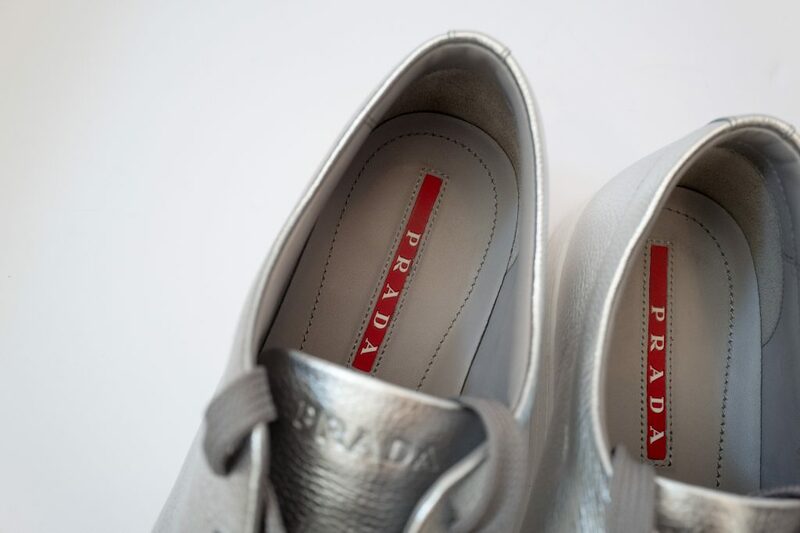 Classic Prada red stripe on the inside of the shoe and on the bottom of the sole. 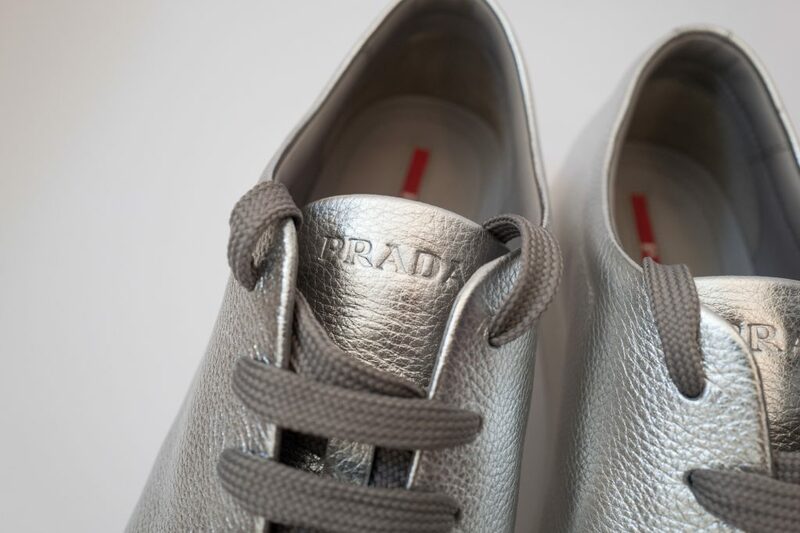 I also liked the stamped Prada logo on the tongue of each shoe, these were a great purchase for SS17. 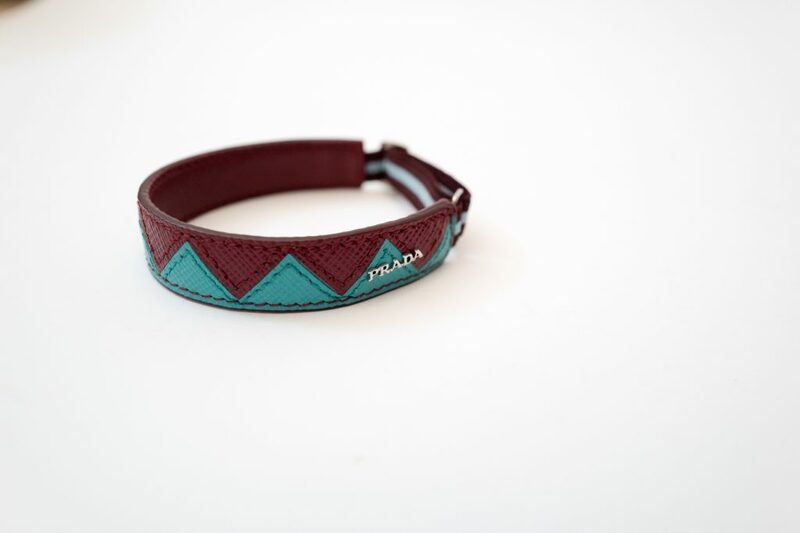 Next we have a teal and burgundy Prada leather bracelet with Prada logo hardware, bracelets have increased in popularity over the years for men and Prada had a great selection in both SS and FW 2017. 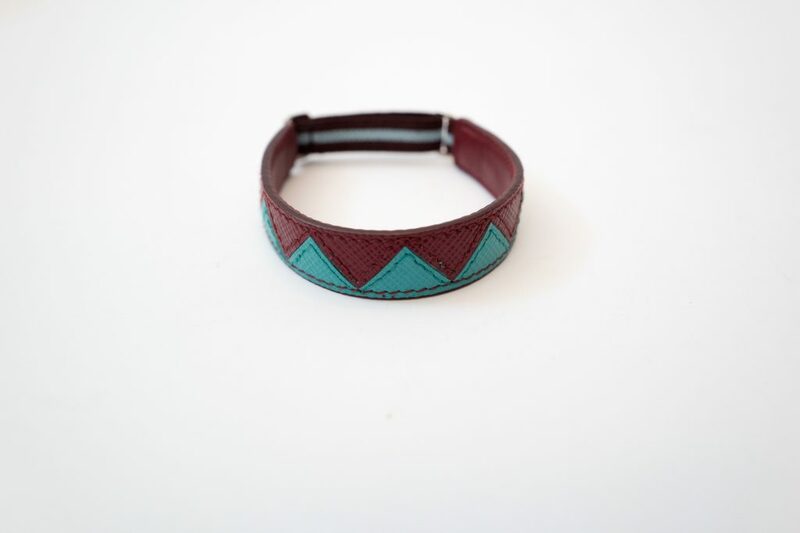 I really like the saffiano leather on this bracelet and the contrasting colours. 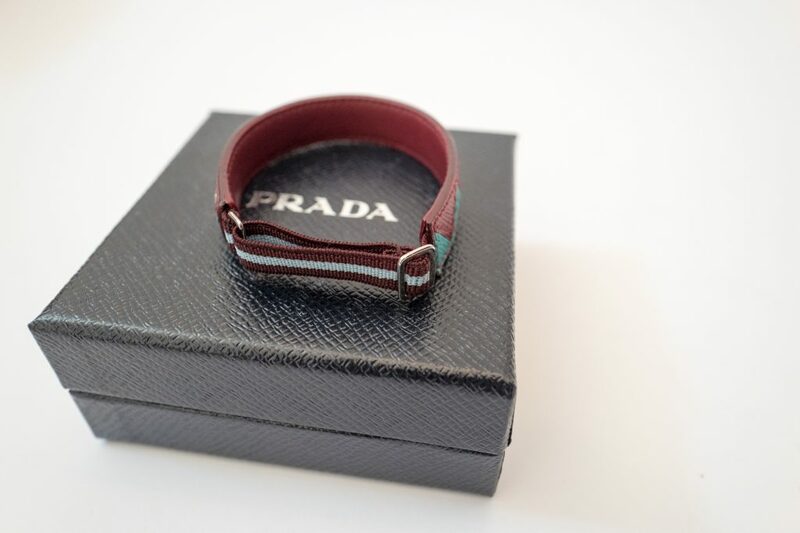 On the other side you have a elastic brand for different wrist sizes in matching colours to the leather. 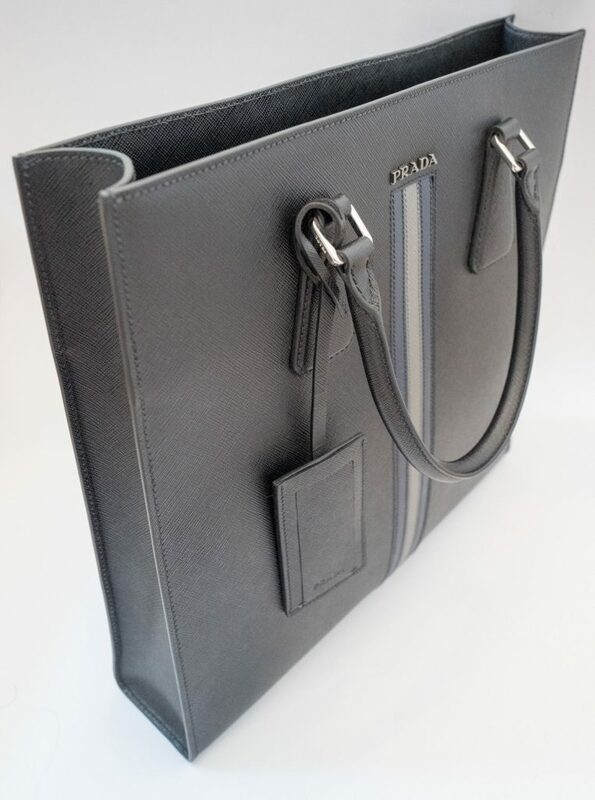 My bag purchase of the summer was a classic saffiano leather black tote bag with a grey and blue contrast stripe. 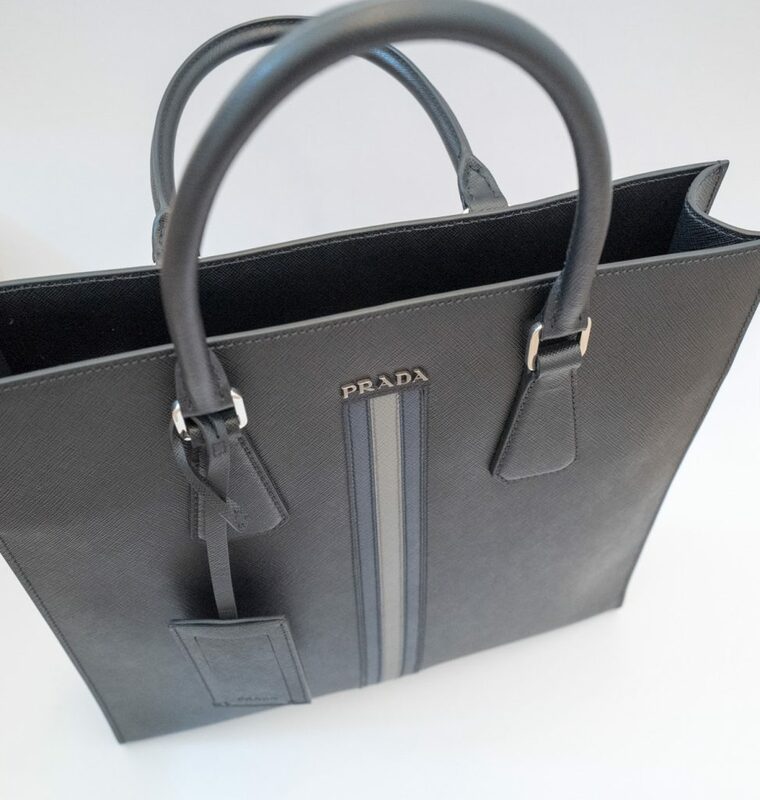 I really liked this design as I already have a Prada holdall with a matching stripe. 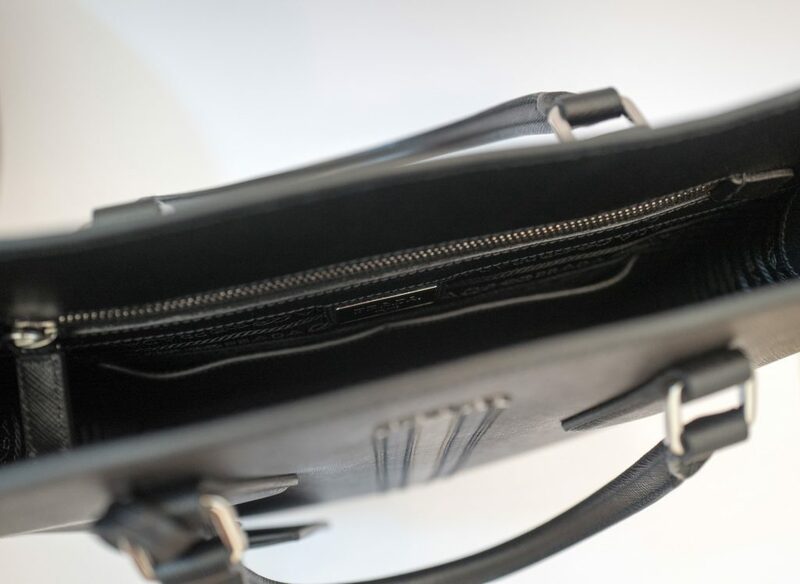 You can never go wrong with a black bag, this looks great for work and when you are generally out and about. 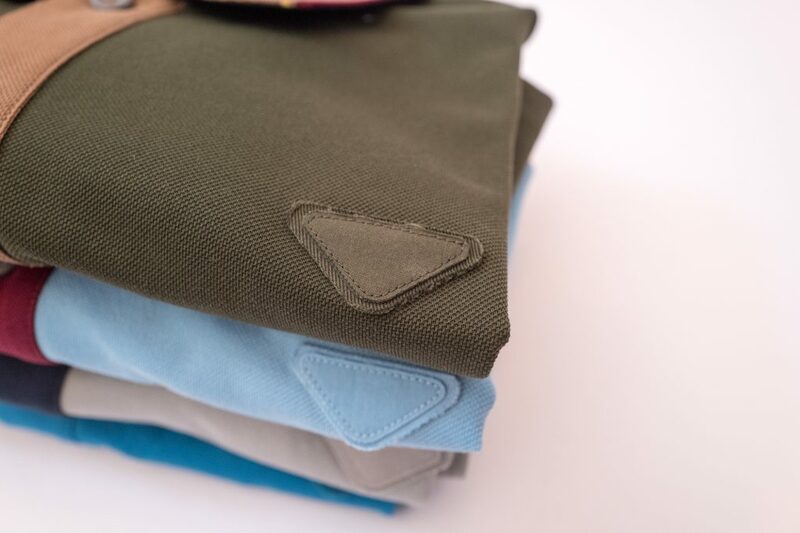 Inside you have pockets for your phones and a zip pocket for other items. 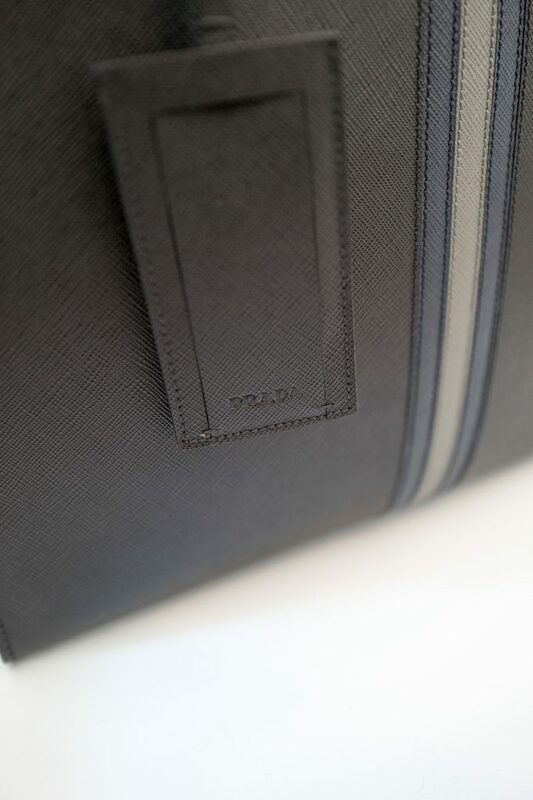 The inside of the bag is lined with classic Prada logo cloth. 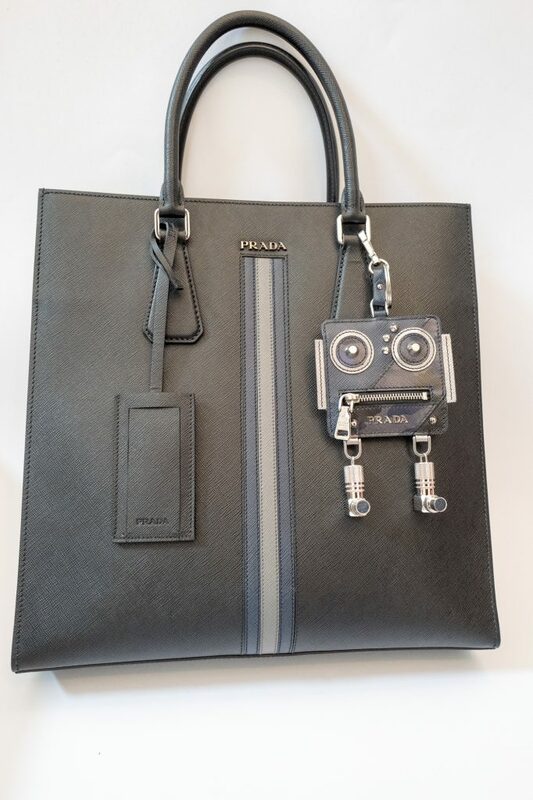 It has a matching black saffiano luggage tag with the Prada logo at the bottom. 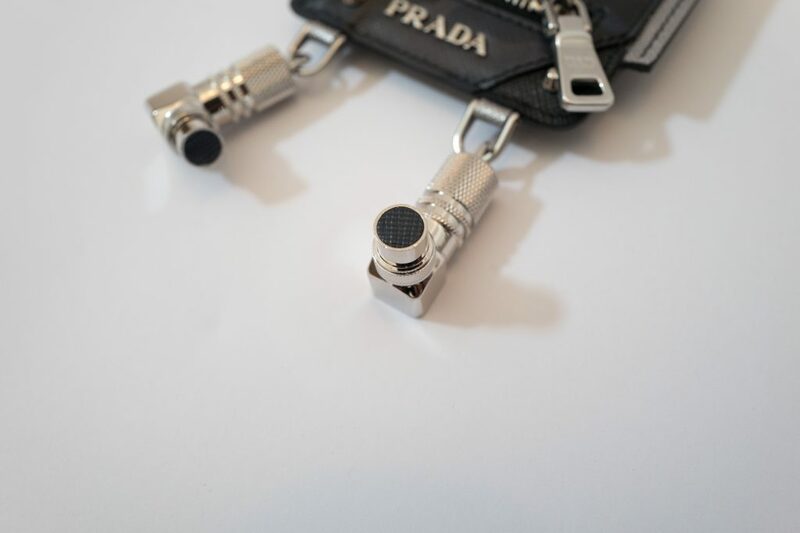 Metal Prada logo hardware two on each side of the bag. 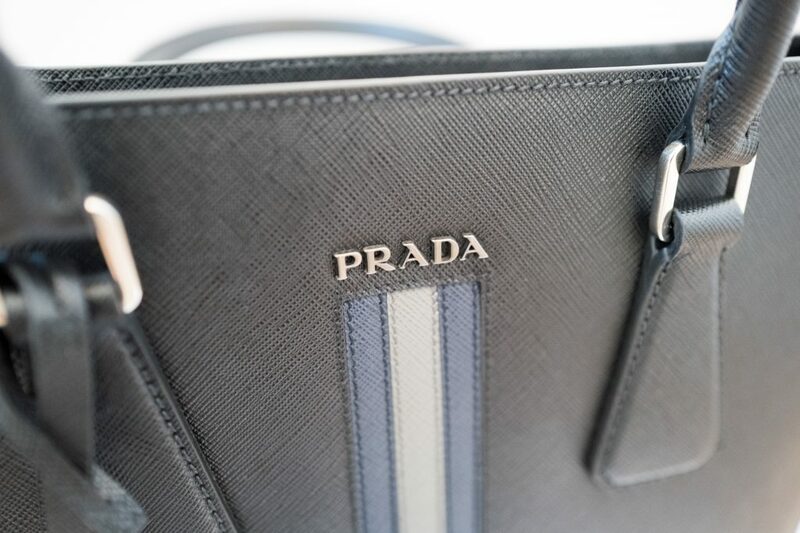 Finally the Prada logo in metal on top of the contest stripe, this logo is slightly more discreet than the Prada logo. 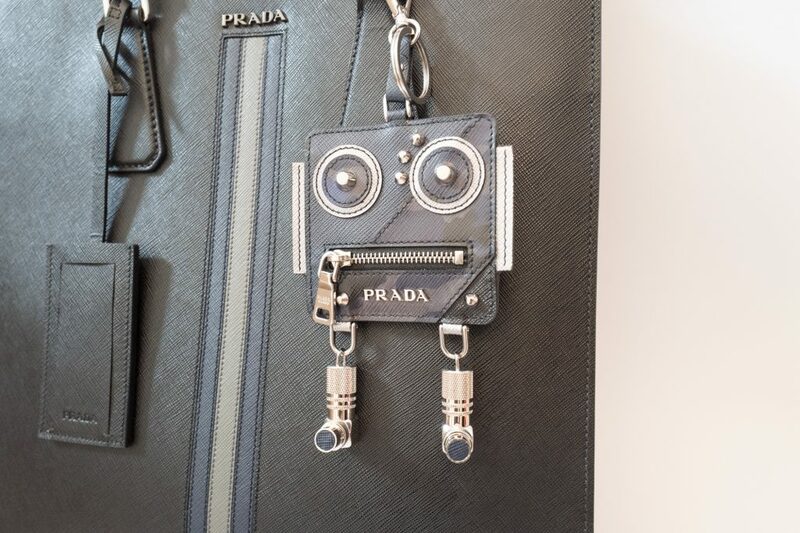 Following on from the bag we have the Prada FW17 robot trick keyring coin purse in leather and metal. This is the ideal oversized keyring for my tote bag. 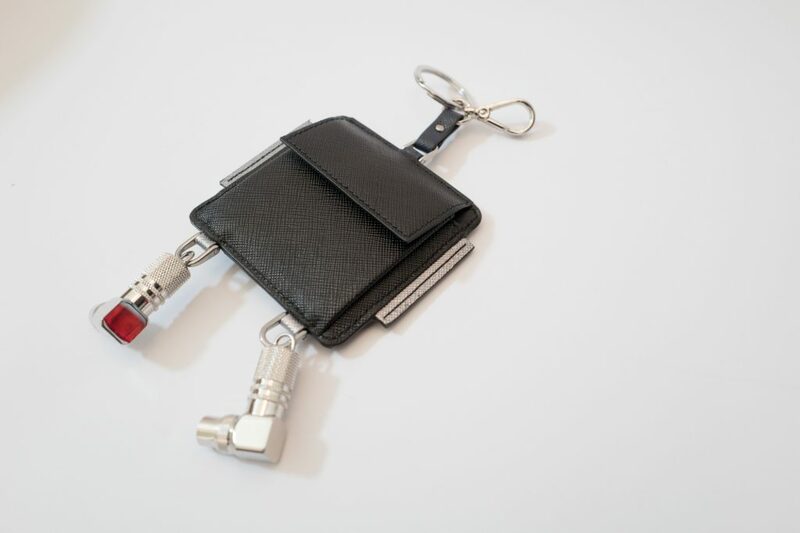 As you can see this keyring is pretty big and looks great on a bag. 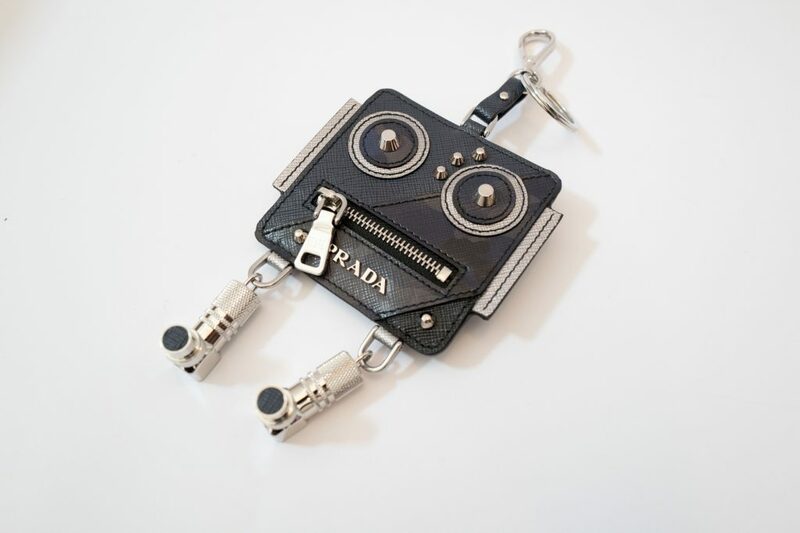 You have the huge leather square in saffiano with lots of stitched detailing including the fun eyes and zip mouth. 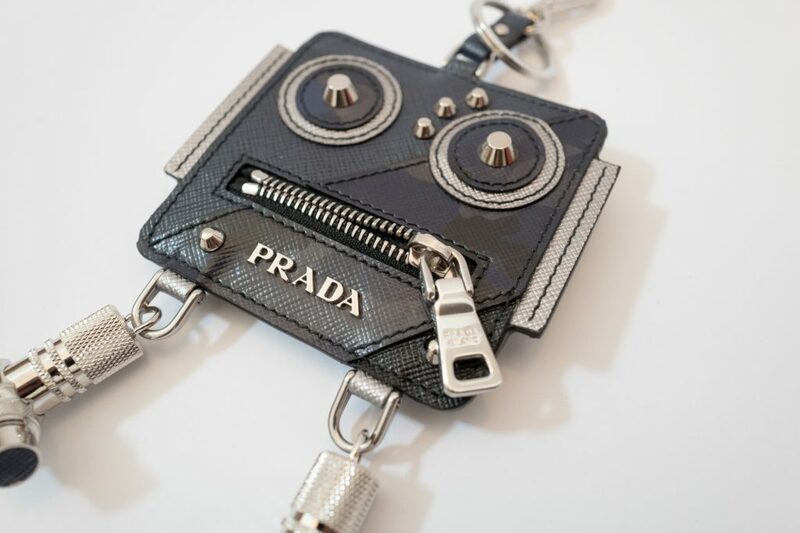 The zip mouth opens which is fun but you can’t get anything inside, there is no hidden pocket on the front. The metal stereo jack legs have had the ends replaced with blue saffiano leather, a very nice touch. Turning the trick over reveals a large pocket. 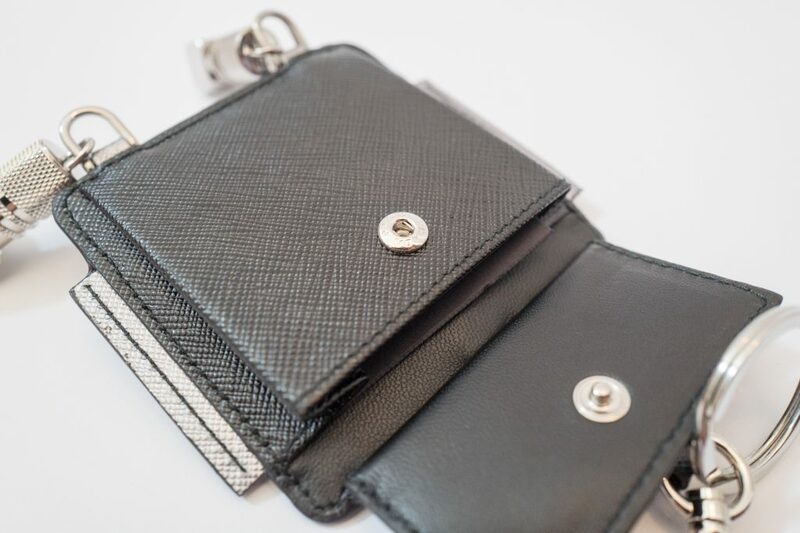 This is ideal for storing coins and other small items. 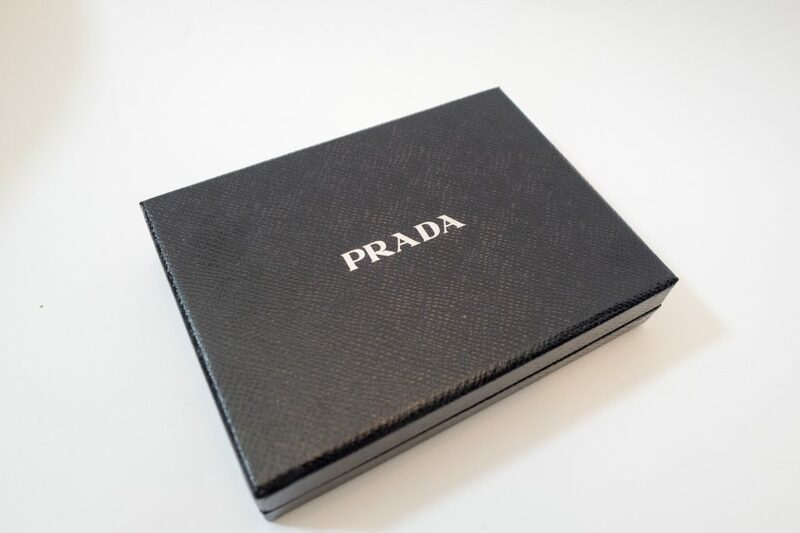 To conclude I am very happy with my Prada purchases this summer, I’m especially pleased with the keyring and the leather tote bag, lets see what the rest of the 2017 season brings!